Four former senior bankers, including ex-Barclays chief executive John Varley, will face trial in 2019 on allegations related to fundraising at the height of the financial crisis. 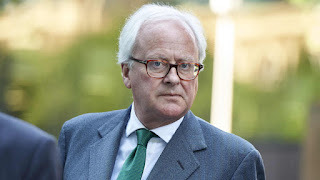 Varley, 61, of Notting Hill, Roger Jenkins, 61, of Malibu in California, Thomas Kalaris, 61, of Kensington and Richard Boath, 58, of Henley-on-Thames in Oxfordshire, were charged last month with conspiracy to commit fraud over a June 2008 bid to raise billions of pounds in capital. The bank itself faces the same charge while Barclays, Varley and Jenkins also face a charge relating to fundraising in October 2008 and are accused too of providing unlawful financial assistance. The four men appeared at Southwark Crown Court on Monday to be told by the judge, Mr Justice Edis, that their trial would begin on 9 January 2019. It is the first trial of its kind against a bank and former executives for activities during the financial crisis.